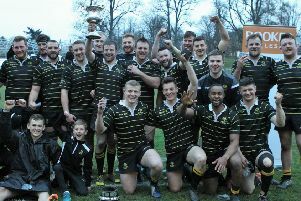 Cup rugby takes precedence this weekend as all the Borders Premiership clubs bar Melrose join the fray in the second round of the competition. With no pro players involved competition will be evenly balanced with Gala (home) and Hawick (away) meeting Premiership rivals Glasgow Hawks and Boroughmuir on a level playing field. Selkirk have an early opportunity to test themselves against next years opposition when they welcome National One side Musselburgh to Philiphaugh while Jed-Forest travel to play National Two side Preston Lodge. Having finished in the top four last season Melrose don’t join the Cup competition until the next round but have a huge task before them when Premiership rivals Currie come calling at the Greenyards. “It will be a massive game for both clubs in the battle for a top four place,” said Melrose director of rugby Mike Dalgetty. Kelso, who exited the Cup in the first round, travel to play Howe of Fife for a rescheduled National League One fixture.